How Often Should You Exfoliate Your Face for Your Skin Type? Including extra tips on how to treat over-exfoliation. Advertisers have managed to convince us that more is always more. In other words, that the more products you scrub and slather onto your skin, the better. However, when it comes to skin care, less can often be more. Your skin’s natural barrier is both fragile and extremely important to maintain. When this barrier becomes weakened by over-processing and harsh chemicals, your skin is left vulnerable to many forms of damage. Most of us are guilty of over-exfoliating our skin, and it can be hard to break the habit. However, being gentle with your skin is key to preventing damage. While exfoliation can have many benefits for various skin types, it’s important to be aware of how much is too much. Keep reading to learn how much you should exfoliate, which physical exfoliants and chemical exfoliants we recommend, and how to repair damage from over-exfoliation. Exfoliation has benefits for practically all skin types. Whether it’s accomplished via an acid-based serum or a fine-grained scrub, exfoliation helps to remove dead skin cells from the surface of your skin. Exfoliating keeps your pores clear of debris, reducing blemish formation and the risk of skin infection. Exfoliating can also help to break up scar tissue and stimulate circulation, thereby diminishing the appearance of acne scars. When the skin becomes too dry, flaky patches of dead skin cells can start to show up on its surface. By exfoliating, you’ll help to clear away these dead cells, both smoothing your skin’s surface and allowing moisturizers to sink in more effectively. Exfoliating can help to smooth and soften the texture of mature skin. It also boosts circulation, encouraging the formation of new skin cells. By removing dead skin cells from the surface of your skin, you’ll reveal the fresh, new layer of skin underneath, resulting in an instant glow. 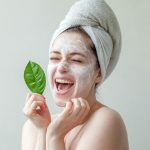 You’ll also clear your pores, allowing follow-up products like toners, serums, and moisturizers to penetrate your skin more effectively and deliver more nourishment. 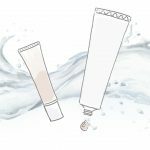 The smoothing, softening powers of exfoliation create a better canvass for applying makeup, allowing makeup products to glide over your skin more easily and blend into its surface more seamlessly. While exfoliating can yield many benefits, it’s important to exfoliate at a rate that makes sense for your skin type, because over-exfoliating can result in uncomfortable conditions such as redness and irritation. Sloughing off skin cells before they’ve had time to complete their life cycle can also weaken the skin barrier, making your skin more vulnerable to infection and exterior damage. Meanwhile, over-exfoliating can cause chronic inflammation—which may not seem like an urgent issue, but can actually cause premature aging if it persists. Especially if you already have sensitive skin, over-exfoliating can cause dangerous inflammation. Below, we’ve listed some inflammatory warning signs to look out for. If you experience one or more of these symptoms, you might be exfoliating too much. Many of us have been guilty of over-exfoliating our skin. Luckily, there are plenty of skin care options to repair inflamed and irritated skin. If you’ve noticed any of the warning signs above, you’ll want to immediately give your skin a week-long break from exfoliating, and restrict your use of acid-based face washes and toners for a week. During this break, you can cleanse your skin with gentle, oil-based products, and focus on replenishing your skin’s defensive barrier using powerful moisturizers. As suggested by its name, this product is designed to give your skin a refreshing, restorative break. It features avocado oil, which has deeply moisturizing properties and a high antioxidant content, therefore helping to heal damage as well as moisturize. It also contains sea-buckthorn oil to combat dryness, wrinkles, and other forms of skin damage. We recommend using this product to help replenish your skin’s barrier and fend off damage. If your skin’s defensive barrier is weak, then it’s probably more susceptible to sun damage. You’ll want a natural sunscreen to help shield yourself from solar radiation. This product—which can be used on the face and body—contains hydrating aloe vera and shea butter to heal and nurture your skin. Unlike many other sunscreens, it’s free of harmful chemicals such as parabens, oxybenzone, phthalates, and retinyl palmitate. You can also use a heavy-duty mask to give your skin an extra dose of healing moisture. It delivers moisture to your skin using organic olive oil and jojoba oil, stimulates skin regeneration with calendula and antioxidants, and soothes redness and irritation with lavender. You can leave it on for ten to twenty minutes and then rinse, or leave it on overnight for an extra strong dose of moisturizing. Different skin types may see benefits and drawbacks to exfoliating at different rates. Generally speaking, it’s a bad idea to exfoliate every day unless the directions on your product specifically say to do so (and even then, you should carefully watch your skin for any signs of inflammation). The ideal frequency for exfoliation is probably 1-3 times per week, with three being the maximum, depending on your skin type and preferred exfoliator. This range can be somewhat flexible, however. For example, konjac sponges—an extremely gentle exfoliating tool—can probably be used on a daily basis. Meanwhile, a very intense exfoliating scrub or peel should be used more sparingly, probably once per week at most. If you have sensitive skin, you might want to opt for exfoliating with the gentlest possible product: a konjac sponge. We recommend using a konjac sponge 3-5 times per week, or every day if desired. If you have sensitive skin that’s prone to blemishes, we recommend using the Bamboo Charcoal Cleansing Sponge from One Love Organics (more details below) to exfoliate and clarify without irritating your skin. If you have dry skin, you’ll want to strike a balance between exfoliating to slough away dead skin cells and leaving your skin alone so that it can repair itself. It’s especially important not to over-exfoliate dry skin, as fragile skin is especially prone to inflammation. For dry skin, we recommend exfoliating with a product like the Strawberry Rhubarb Masque (more information below) from Eminence Organics up to three times per week. As with dry skin, it’s important to strike a balance when it comes to oily and acne-prone skin. If you exfoliate too little, your pores may clog and cause acne breakouts. If you exfoliate too much, you may strip your skin of oils and cause overproduction. For oily, blemish-prone skin, we recommend using 100% Pure’s Acai Pulp Facial Scrub twice per week. Cell turnover slows down as you age, so it’s especially important not to over-exfoliate mature skin. For mature skin, we recommend using a less intense alternative, such as a multitasking cleanser that gently sweeps away excess skin while brightening any dullness. Use Tata Harper’s Regenerating Cleanser daily to get a healthy glow while giving your skin time to heal. If you wear makeup on a daily basis, you might see extra benefits from regular exfoliation. Traditional cleansers often fail to remove every trace of makeup from the skin, leaving behind traces of oil that can clog your pores and accumulate in fine lines. By exfoliating three times per week, you’ll clear away as much makeup debris as possible for clearer, cleaner skin. The strawberry in this facial mask naturally contains salicylic acid, an exfoliator and brightener. Importantly, this mask balances the exfoliating properties of strawberry with ingredients that nourish your skin and bolster its natural barrier. These ingredients include antioxidant-rich rhubarb, as well as healing, moisturizing shea butter. To use this mask, combine a small amount of the product with a few drops of water to emulsify. Apply it to your face and neck, and allow it to sit for up to 10 minutes. Remove gently with a warm washcloth. We recommend using this product up to three times a week. 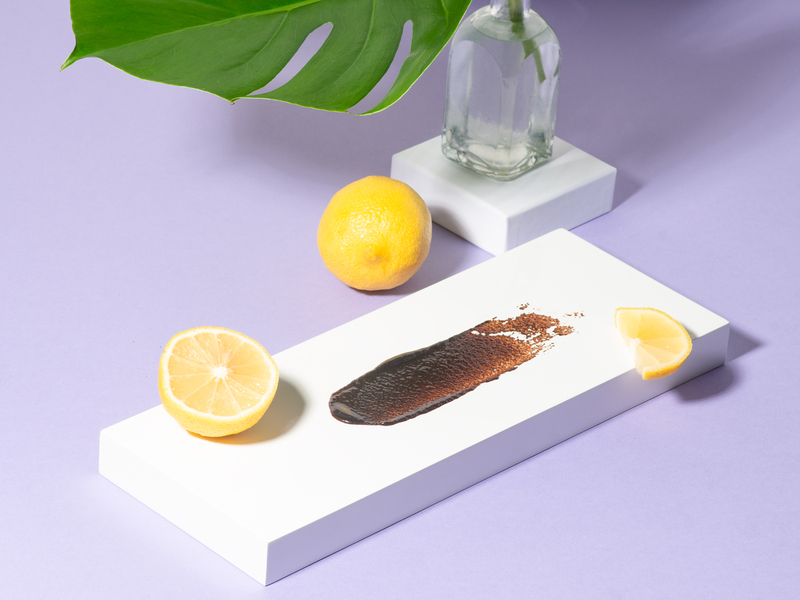 This face scrub is designed to deliver intensive exfoliation. The scrub component is formulated from crushed acai berries instead of harsh (and environmentally hazardous) plastic beads. In addition to acai, this scrub contains exfoliating grapeseed, brightening coffee, and a blend of antioxidant-rich plant ingredients (including goji berry and mangosteen). To use this product as a scrub, gently massage into wet skin for 2-3 minutes. To use it as a mask, leave it on your skin for 20 minutes, then rinse. Due to this product’s intensive exfoliating properties, we recommend using it no more than twice per week. If you’re looking for a natural and effective formula for combatting acne-prone skin, this one should be your go-to. It contains white willow bark, which is naturally high in salicylic acid that’s able to deeply clarify pores and help prevent acne formation. Natural fruit enzymes from papaya and pineapple help resurface skin to reduce greasiness and promote natural radiance. Is your acne leaving red marks all over your skin? This mask is naturally pigmented with blue tansy oil that counteracts redness and moisturizes. Are scrubs and masks too harsh for your skin? Or maybe you just prefer cutting down on a step in your skin care routine, but still need an exfoliator to freshen up your face. When you massage this gentle cleanser into dry skin, it buffs away your dead skin with apricot seed powder, while clarifying pores with willow bark extract. The result is a smoother and brighter complexion, as well as softer skin. It’s perfect to use before following the rest of your anti-aging skin care routine. The gentle texture of this konjac sponge lifts away dead skin cells. Meanwhile, the sponge releases bamboo charcoal to clear your pores, eliminate acne-causing bacteria, and brighten your skin. All you have to do is soften the sponge in warm water, massage it across your skin in circular motions for 2-3 minutes, then rinse it and hang to dry. We recommend using this product 3-5 times per week, although it’s gentle enough for everyday use on most skin types. As you can see, it’s not too tricky to get the right amount of exfoliation for your skin type, provided that you use the right product at the right frequency. Whichever type of exfoliator you prefer, we recommend sticking to natural products that are free of plastics and harsh synthetic ingredients—which are harmful to your skin and to the environment. Look for products that use plant extracts, essential oils, and derive ingredients such as salicylic acid from plant sources. Why a Konjac Sponge Should Be a Part of Your Cleansing Routine: Could a sponge actually help balance your skin? Here’s why konjac sponges are a skin care hack. DIY Coconut Oil Lip Scrub for Youthful Lips: How to make a coconut oil lip scrub to exfoliate and moisturize with two simple ingredients. How to Make a Salt Scrub to Reset Your Dry Skin: A fun, customizable salt scrub with just 3 ingredients to exfoliate and moisturize your skin. 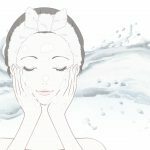 Posted in Skin CarecommentLeave a Comment on How Often Should You Exfoliate Your Face for Your Skin Type?